Many of the top bioscientists in Asia trained in the West before returning to set up their own labs. 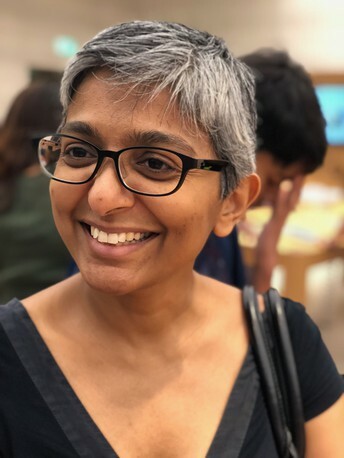 Anju Mary Paul, a migration researcher at Yale-NUS College, interviewed 119 Asian scientists who began their PhDs between the 1960s and the mid-2000s to understand why they left, why some chose to come back, and what advice they have for prospective doctoral and postdoctoral researchers today. Paul is currently writing a book, called Asian Scientists on the Move, based on this research. What inspired you to study the migration patterns of Asian bioscientists? The larger project I was interested in is the changing nature of the bioscience sector in Asia, given the way that the 21st century has been framed as the century of biology, especially genetics and genomics. Within Asia several high-income countries have invested significantly in building up their bioscience and biotech sectors, and in making their national universities world-class research institutions. I was interested in trying to understand the consequences of these state-driven developmental projects on migration matters. And have these projects had a big effect? Yes, absolutely. That was something that came across very clearly in all of my interviews. All of these researchers were talking about what the state of science in Asia had been when they were doctoral students, and what it was like today. They have seen a sea change in their lifetimes, which they found very exciting. It was partly that sense of potential that drew some of them back to Asia. What has improved amongst the top Asian universities to encourage these researchers to return? Well, this is what state power and budgets can do. The funding is incredible in a lot of these departments. The facilities being offered by the top research universities in various Asian countries are on par with the facilities being offered by all but the most elite universities in the West. And in addition to this ‘hardware’ now you also have the ‘software’ – these really talented, ambitious scientists who young students want to work with. What other factors drew them back? In places like China, the question of tenure is not relevant. A lot of people who have just finished their postdocs are moving back to China to be full professors. That’s very attractive. They’re able to hire more research support staff than they could ever do if they stayed in the US. Grant funding rates are also much better than in the US or Europe. Do scientists want to spend 90% of their time writing grant applications, or maybe just 30%? That calculus encourages them to return. Despite these advantages, many Asian researchers still aim to move to the West for doctoral training, and a quarter of your interviewees still strongly recommend that their students study in the West. Why is this? There are several factors. One is the status of having a Western degree or postdoc that, especially in an overcrowded market, is going to help you stand out. The other is the social capital, so being able to say you worked in a particular Nobel Prize-winning scientist’s lab, most of which are still concentrated in the West. 20–30 years ago everybody was saying “I have no equipment in my university in India, we don’t have the facilities to do the kind of research that I want to do and that’s why I have to go to the West”. Now it’s much more about status and connections, and also to some extent a different way of framing research problems. Did researchers state any disadvantages of migrating to the West? For some people the distance from home was a real problem, especially for scientists who were an only child. For women distance was sometimes an issue, but not as much as I had expected. Cultural affinity was another concern for a lot of scientists, especially if they weren’t as fluent in English as they would have liked. In general, Indian scientists felt less sense of cultural mismatch, but there was a bigger culture shock for Chinese, Taiwanese and Korean scientists. And being in the West meant that you couldn’t build professional connections in your home country as easily. This was especially important in countries where it was felt that these local connections were what really mattered when it came to getting grants or promotions. For many of the Chinese scientists I interviewed, the ideal package is doing a doctoral degree at a top research institution in China, and then postdoctoral work in the West so you can acquire both Western and Chinese connections. Is there much migration between Asian countries? That’s one of the questions I was really interested in. Locations within smaller Asian countries in particular, such as Singapore, Taiwan and Korea, are actively trying to recruit from India and China to make up for shortfalls within their own populations. To some extent they’ve become a stepping stone to the West. You can do a Masters degree or a PhD in Singapore, for instance, and then apply to a program in the West from there. These countries have also become the fallback plan, especially for the top students: they will apply to their dream departments in the West, but also to Hong Kong and Singapore, which are English language places where the funding is pretty good. When it was more of a requirement for scientists to go to the West, did that affect the diversity of scientists in Asia? Absolutely. Westward migration was to some extent an elite phenomenon. In India, for instance, it was much easier for the scientists who lived in urban areas and went to the top universities to go to the United States for doctoral study. They were in an environment where they were exposed to the notion of Westward migration, and they had mentors who might have trained in the West. If they came back they would end up working in those elite institutions as well. Students who went to second-tier or more regional universities were not exposed to the culture and means of migration to the same extent. And so you see a bifurcation where the regional scientists stay in the regional universities, and you have a much more cosmopolitan pool of scientists in the top national universities. Why did some bioscientists choose not to return from the West? That is something I’m trying to analyse now. Family made a big difference. Nobody was moving if they had children who were close to or in their teen years. If their spouse had a very successful career, and couldn’t imagine being able to port that over to Asia, that was a big hindrance. And then there was just lifestyle. I think a lot of people had gotten used to living in Western countries. In certain subfields, people felt that their country had yet to reach a point where they could do research at the level that they had gotten used to in the West. There was also a recognition that not all institutions within their home country were of equally high quality. Several interviewees said things like: “If I’m going to go back to Japan, I’m only going to go if I can get a job in this one institution. Nothing else will make the cut”. Many also recognised that moving one’s lab, once you had established yourself, was very difficult. There was one scientist, a really top geneticist, who had a very successful lab in Europe. He made an offer to his entire lab to come with him when he moved back to Singapore, but none of them wanted to leave Europe. He really had to start from scratch. But for people who are just finishing up a postdoc it’s a lot easier to consider moving back to Asia to set up a lab. What happens once Western-trained scientists return to Asia? Their return has been a bit of a mixed bag. On the one hand they have all this energy and enthusiasm, but they’ve experienced a lot of culture clashes as well. They were ‘indoctrinated’, for want of a better word, in a particular Western way of doing science. Then they come back to universities and research institutes that might still be very hierarchical and bureaucratic. So they are pushing for a lot of change on many levels. What kind of change do they want to create? One of the things that scientists in every country where I did interviews told me was how they wanted to teach science a different way. They wanted to encourage their students to be much more questioning, critical and creative. They were also trying to create a very different lab culture based upon what they had experienced in the West, and reproduce that in their new labs. They wanted to create a flatter hierarchy within the lab, so that students would be much more willing to own up to mistakes, and recognise that mistakes are a process of learning. What else appealed to the researchers about working in Asia? There was a sense of being at home that a lot of the scientists really enjoyed. There was also a feeling of being the vanguard of change, even for people who had very pragmatic career reasons for wanting to return. Several would talk about how there was pride in being able to help their country move forward in terms of scientific research.